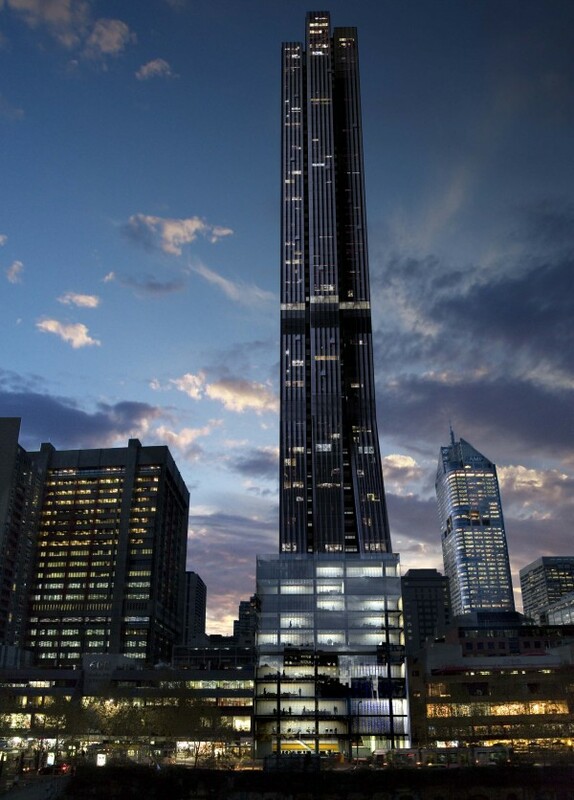 A new 68 level office and residential tower located in the heart of Melbourne’s CBD precinct. The building includes a cafe / food precinct and10 levels of podium car parking. With plan dimensions of 30m by 40m, the site is very small for a building of this height. The design challenge has been to create a solution that is viable structurally, architecturally and economically. The use of outrigger walls at two levels of the building to increase stiffness in the slender east-west direction. Meinhardt has incorporated post-tensioning in these heavily stressed elements to reduce the amount of reinforcement required to simplify and speed up construction. The type of post-tensioning used is the same as that used in the floor slabs, which further simplifies construction. Increased automation of the process of transfer of structural engineering design information onto drawings, allowing a much faster response time to design changes than previously possible.